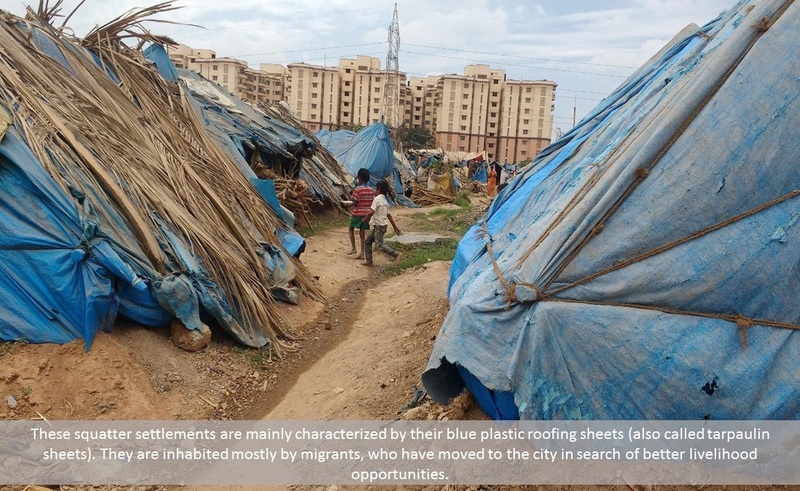 This photo essay captures some of the issues in informal settlements, in this case blue tent squatter settlements that are prevalent in certain pockets of Bangalore, and ullustrates how the lack of infrastructure leads to a non-sustainable way of life for residents. 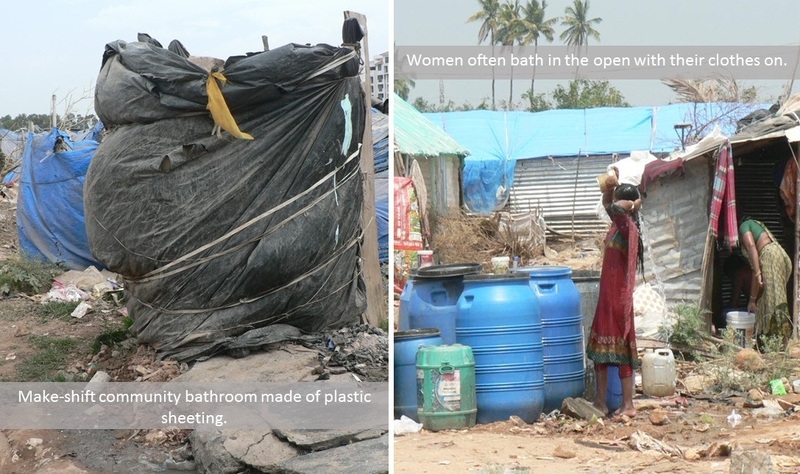 People living in informal settlements are subject to a wide range of stressors. 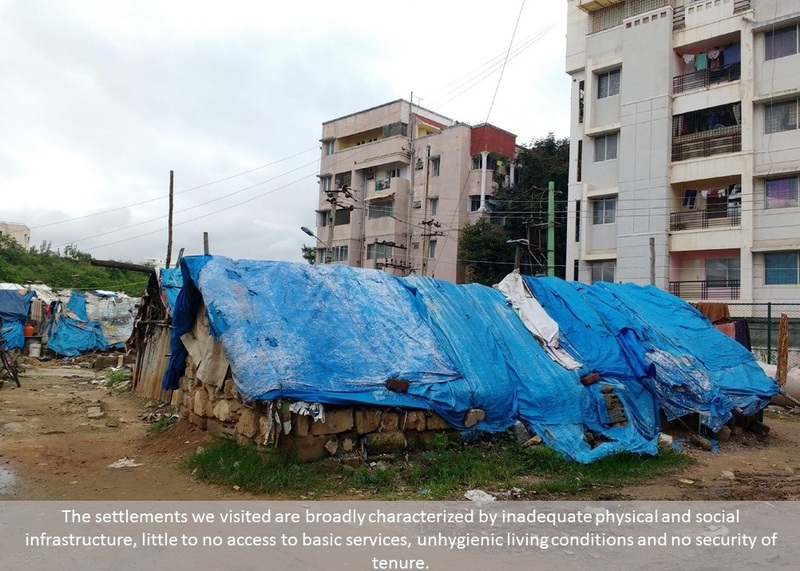 Some of the external factors marginalizing them include unequal access to resources and distribution of services and also their unsuitable environments. 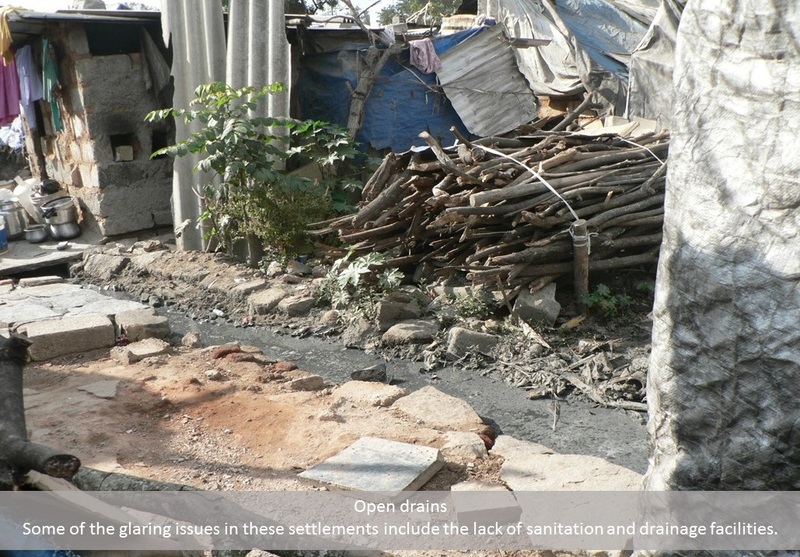 There are no private or community toilets in these settlements meaning that open defecation and bathing are common. This brings with it many concerns around women’s safety and dignity. Communities, either independently or with the help of NGOs, have set up solar panels to ensure basic access to electricity. Innovative indoor stove ‘chulla’- uses air vents to reduce air pollution. Interestingly, outdoor stoves are sometimes beneficial as the smoke from burning dung cakes keeps away mosquitoes. Settlement dwellers taking measures to channel household waste water through locally assembled pipes, along with a filter at the mouth to prevent solid waste from entering the piping system and clogging it. Some dwellers also dig pits to collect wastewater and often cover them to reduce infestation of flies. 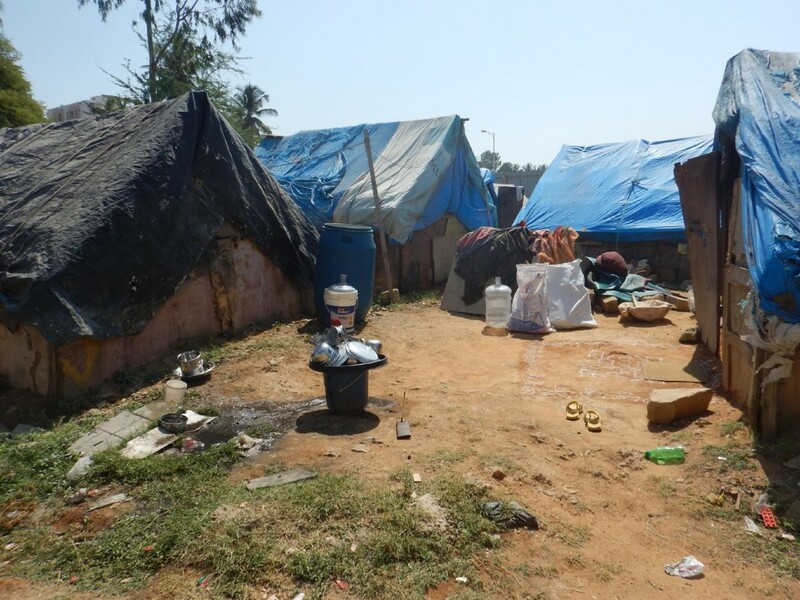 We observed that dwellers in blue tent settlements are living lives that are highly vulnerable. Some local community/NGO-led interventions were observed but these are not sufficient to address the multiple dimensions of vulnerability to which the dwellers, particularly women and children, are exposed.